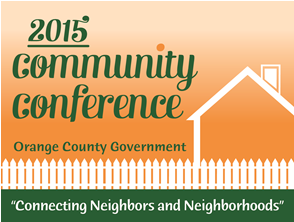 Orange County, FL – The Orange County Neighborhood Preservation & Revitalization Division will host the 2015 Orange County Community Conference July 18, 2015, at the DoubleTree Downtown. Participants will benefit from 10 workshops that illustrate County programs, answer concerns and questions for homeowners associations, and provide assistance with projects and initiatives designed to enhance and revitalize neighborhoods. The conference strives to educate and assist citizens on how to revitalize their neighborhoods and make them the best possible places to live. Citizens, community leaders, homeowner’s association leaders, and nonprofit organizations come together during this event to share ideas about improvements that can be made in their counties. Orange County Mayor Teresa Jacobs will be on hand for the conference’s main event, the Community Awards Luncheon, which recognizes individual citizens and community organizations for their accomplishments and talents. In addition, Mayor Jacobs and each of the six district commissioners will recognize the Citizens of the Year and pay tribute to their contributions toward a better Orange County community. Silver Conference Sponsors this year include KKP Security and VITAS Healthcare. Time: 8 a.m. – 2 p.m.
Time: Noon – 1:30 p.m.
For more information, please visit our Community Conference web page.